Nginx 1.3.2 for Windows (32-bit and 64-bit builds) are now available for free download. Packages as always, are built from the upstream development branch. Nginx (pronounced “engine x”) is a high performance web server, caching proxy and a Layer 7 load balancing solution. Millions of web sites on the Internet benefit from using Nginx because of its extreme performance, scalability, reliability, flexibility and security.
) Change: the “single” parameter of the “keepalive” directive is now ignored.
) Change: SSL compression is now disabled when using all versions of OpenSSL, including ones prior to 1.0.0.
) Feature: it is now possible to use the “ip_hash” directive to balance IPv6 clients.
) Feature: the $status variable can now be used not only in the “log_format” directive.
) Bugfix: a segmentation fault might occur in a worker process on shutdown if the “resolver” directive was used.
) Bugfix: a segmentation fault might occur in a worker process if the ngx_http_mp4_module was used.
) Bugfix: in the ngx_http_mp4_module.
) Bugfix: a segmentation fault might occur in a worker process if conflicting wildcard server names were used.
) Bugfix: nginx might be terminated abnormally on a SIGBUS signal on ARM platform.
) Bugfix: an alert “sendmsg() failed (9: Bad file number)” on HP-UX while reconfiguration. 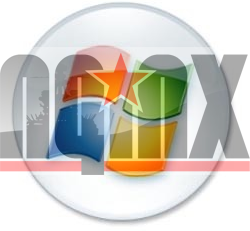 Download Nginx 1.3.2 for Windows (32-bit & 64-bit versions) here. Frequently Asked Questions with answers may help you, but please feel free to ask other questions or or leave a comment below. Thank you.